Looking to take on your fellow co-workers or friends? 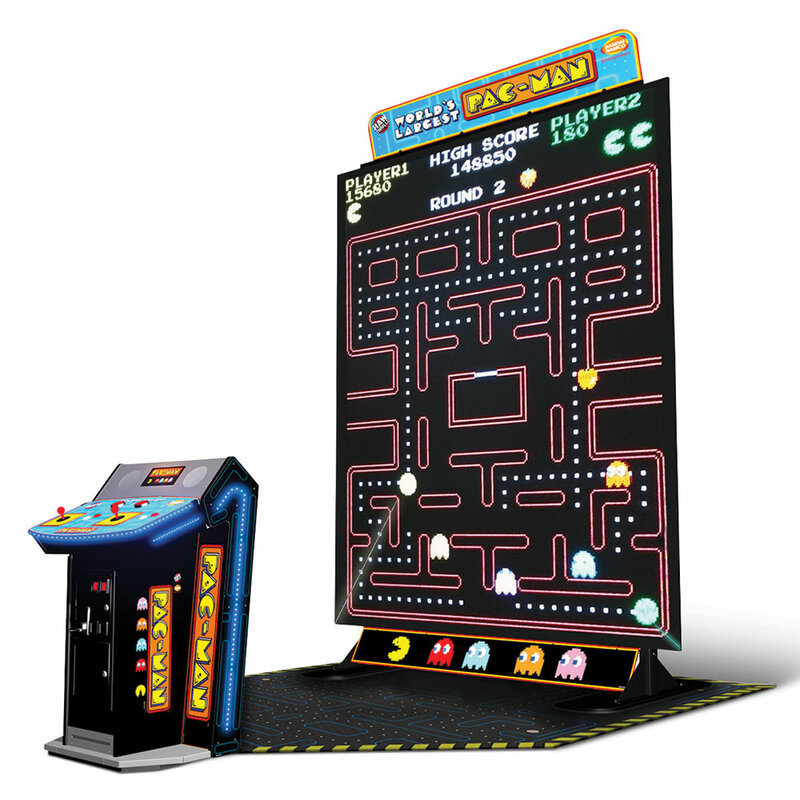 Our Pac-Man Battle Royale Arcade Game Rental will fill that void. This incredible 80s themed arcade game has just got super sized. Four Players at once take on the challenge of eating up all the pellets. 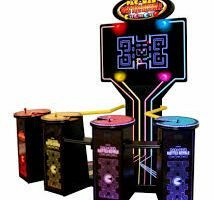 This is a summary how our Pac-Man Battle Royale Arcade Game Rental is played. Eliminate your opponents by eating them and the last Pac-Man standing wins the round. When players eat a power pellet, they power-up by doubling in size and increasing in speed. Once powered up, they are now able to eat non powered-up blue players and ghosts. Players of the same size simply bounce off each other. Players can also be eliminated by running into ghosts if there aren’t any powered up players. Eating a piece of fruit or all of the pellets resets the maze with a fresh new set of power pellets. The game is simple, competitive, and highly addictive. The deluxe cabinet’s glowing lights and large viewing monitor make this the perfect centerpiece for any location. 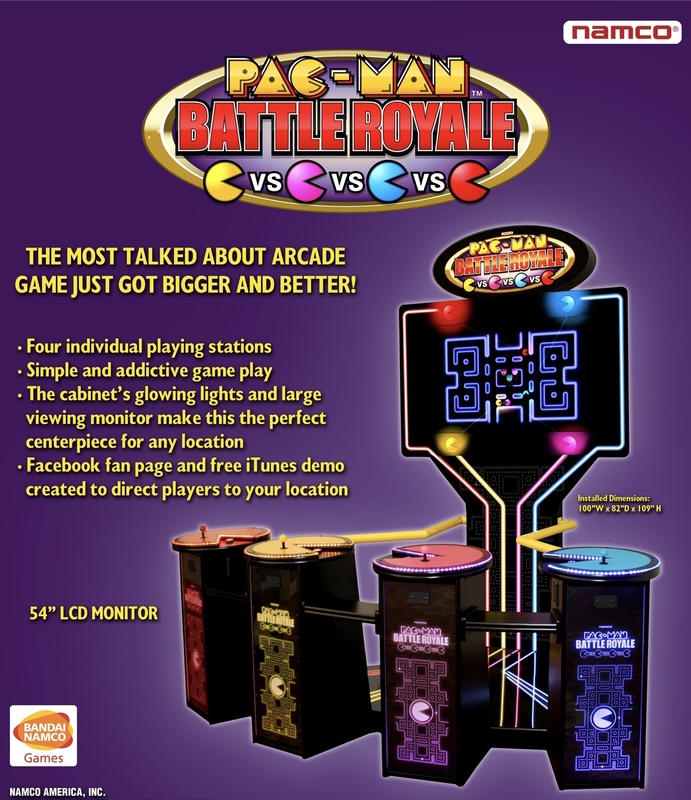 The Pac-Man Battle Royale game is a super fast paced fun arcade game rental. We include everything you need to enjoy this rental. The glowing Led lights and the great sounds will bring back and create new memories for young and old at heart. 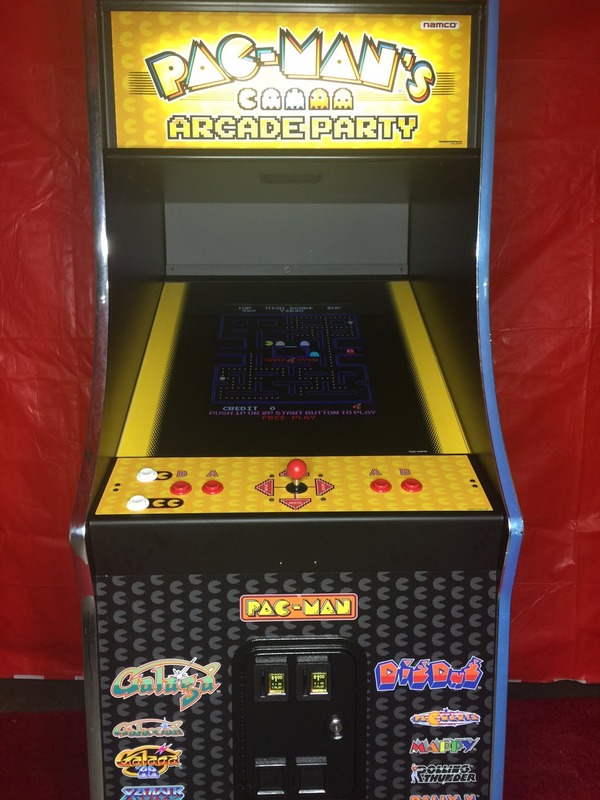 We deliver all our video and arcade games to the entire San Francisco Bay Area cities. We also offer multi day rate or lease program for this game just ask our office for more details. Call us at 1-888-630-3866 for more info and pricing. Nothing compares to the arcade Pac Man / Ms Pac Man originals. With 12 vintage games, play all of your favorite classic arcade games in one cabinet. 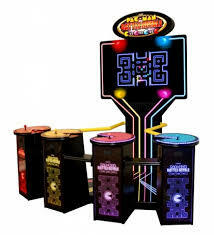 Gather around with friends and family to experience the look, feel and sounds you can only get with the Pac-Man Video Game Arcade Party Machine. 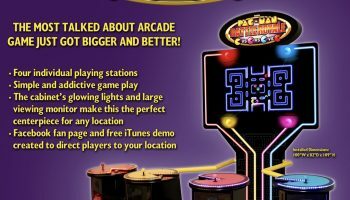 Renting arcades games like our Donkey Kong Arcade Game Rental is easy and high quality. 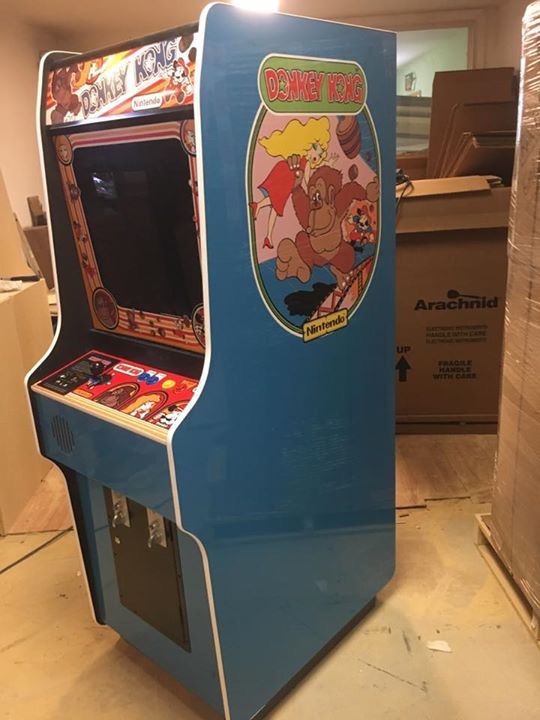 We deliver this 80’s classic video game and many other classic arcade themed games to your home, school, business or convention center.